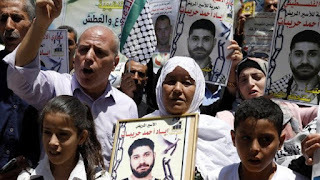 The Israeli parliament has passed a law to withhold money from the Palestinian Authority over its payments to families of Palestinians jailed by Israel or killed while carrying out attacks. The legislation will freeze part of the $130m (£99m) in tax revenues collected on behalf of the PA each month. MPs behind the bill said the payments were "essentially an expression of support for acts of terror". But the PA says it is welfare for relatives of prisoners and "martyrs". It is estimated to spend about $330m each year - about 7% of its budget - on salaries and benefits under the programme. Under agreements from the 1990s, Israel collects taxes and tariffs levied on goods passing through its territory on behalf of the PA. The new law - approved by 87 votes to 15 in the 120-seat Knesset late on Monday - requires the Israeli government to withhold an amount of tax revenue equal to what is paid by the PA to "individuals who were involved in terror activity against Israelis and their families". If the defence ministry determines that such payments are no longer being made, the frozen funds will be returned to the PA.
Defence Minister Avigdor Lieberman hailed the legislation, saying: "An effective war on terrorism also passes through the pocket - of the terrorists, of their families and of [Palestinian Authority President] Mahmoud Abbas."